BATHURST, N.B. — Bobby Dow's goal late in the second period stood as the winner and the Sherbrooke Phoenix went on to defeat the Acadie-Bathurst Titan 6-3 on Sunday in the Quebec Major Junior Hockey League. Jeremy Rainville, Felix Robert, Samuel Poulin, Bailey Peach and Yann-Felix Lapointe also scored for Sherbrooke (15-9-2), which has won three straight. Evan MacKinnon, Marc-Andre LeCouffe and Liam Murphy scored for the Titan (5-20-1). Phoenix goaltender Thommy Monette stopped 21 shots. Acadie-Bathurst's Tyriq Outen made 32 saves. Sherbrooke was 1 for 3 on the power play while the Titan were scoreless on five chances with the man advantage. CHARLOTTETOWN — Ivan Chekhovich scored the lone goal in the shootout to lift Baie-Comeau over the Islanders. Jordan Martel scored in regulation for the Drakkar (19-6-2) and Kyle Jessiman made 36 saves. Hunter Drew had the lone goal for Charlottetown (16-7-3). Matthew Welsh turned aside 41 shots. 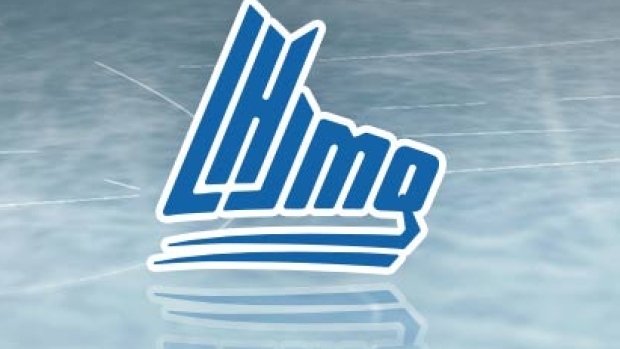 HALIFAX — Felix Lauzon scored back-to-back goals in a three-minute span of the first period and Drummondville went on to defeat the Mooseheads. Joseph Valeno scored his 17th of the season while shorthanded and added two assists for the Voltigeurs (17-6-1-0). Gregor MacLeod, Brandon Skubel and Dawson Mercer rounded out the offence. Benoit-Olivier Groulx, Jared McIsaac and Rapael Lavoie scored for Halifax (17-5-1-0). QUEBEC CITY — Alexander Katerinakis and Remy Anglehart scored in the shootout, leading Blainville-Boisbriand past the Remparts. Anglehart also scored in regulation for the Armada (12-12-1-0), Antoine Demers tied the game 17:25 into the third, and Luke Henman had a first-period goal. Philipp Kurashev and Alesksei Sergeev scored on the power play for Quebec (10-11-2-3) and Olivier Mathieu had the other goal. GATINEAU, Que. — Victoriaville scored three goals in the second period to erase a 2-0 deficit and beat the Olympiques. Simon Lafrance scored two goals for the Tigres (11-11-2-1), while Isaiah Gallo-Demetris added a single. Victoriaville snapped a four-game winless skid. Maxim Trepanier and Iaroslav Likhachev scored for Gatineau (10-13-2-1). SHAWINIGAN, Que. — Anthony Imbeault and Jeremy Manseau scored in the shootout as the Cataractes edged Chicoutimi. Jesse Sutton earned the Sagueneens (11-9-2-4) a point when he scored with 19 seconds left in regulation. Justin Ducharme also scored for the visitors.